The booming U.S. economy continues to prop up home sales and new listings in much of the nation, although housing affordability remains a concern. Historically, housing is still relatively affordable. Although Freddie Mac recently reported that the 30-year fixed rate is at its highest average in seven years, reaching 4.94 percent, average rates were 5.97 percent ten years ago, 6.78 percent 20 years ago and 10.39 percent 30 years ago. Nevertheless, affordability concerns are causing a slowdown in home price growth in some markets, while price reductions are becoming more common. • New Listings are up 3.1 percent year-to-date. • Pending Sales were up 1.5 percent to 678. • Inventory levels shrank 5.9 percent to 2,889 units. Prices also continued to gain traction. The Median Sales Price increased 6.2 percent to $190,000. Days on Market was down 14.0 percent to 49 days. Sellers were encouraged as month’s supply of inventory was down 7.9 percent to 3.5 months. The Bureau of Labor Statistics recently reported that the national unemployment rate was at 3.7 percent. Low unemployment has helped the housing industry during this extensive period of U.S. economic prosperity. Home buying and selling activity relies on gainful employment. It also relies on demand, and builders are showing caution by breaking ground on fewer single family home construction projects in the face of rising mortgage rates and fewer showings. Greater Chattanooga Realtors is “The Voice for Real Estate in Greater Chattanooga.” A regional organization with more than 2,000 members, Greater Chattanooga Realtors is one of some 1,300 local boards and associations of Realtors nationwide that comprise the National Association of Realtors. 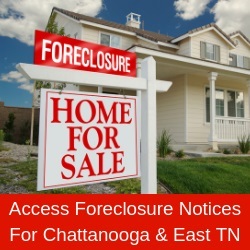 Greater Chattanooga Realtors services Hamilton and Sequatchie counties in southeast Tennessee, and Catoosa, Dade, and Walker counties in northwest Georgia. More information: www.gcar.net; 423 698-8001.